Crane ChemPharma & Energy will showcase two new valve lines that deliver exceptional fugitive emissions control during this year’s Global Petroleum Show. The new Pacific CSV line of gate, globe and check valves and the new Xomox FK soft-seated ball valve will be among the key products featured at Crane’s booth (#1394) during the event. In addition to the new Pacific CSV and Xomox FK valves, Crane’s comprehensive fluid handling solutions on display will include highly-engineered Duo-Chek and Noz-Chek valves, Krombach large-bore triple-offset valves and the Pacific Forged line of gate, globe and check valves that was launched during last year’s show. Designed in accordance with the industry’s latest standards, the new Pacific CSV line of cast steel gate, globe and check valves from Crane ChemPharma & Energy provide the highest level of quality and performance in demanding applications. Subject to Crane’s rigorous development and testing process, each Pacific CSV valve is uniquely built and tested per API 598 standards to offer exceptional performance in the global oil & gas, petrochemical, power and refining industries. 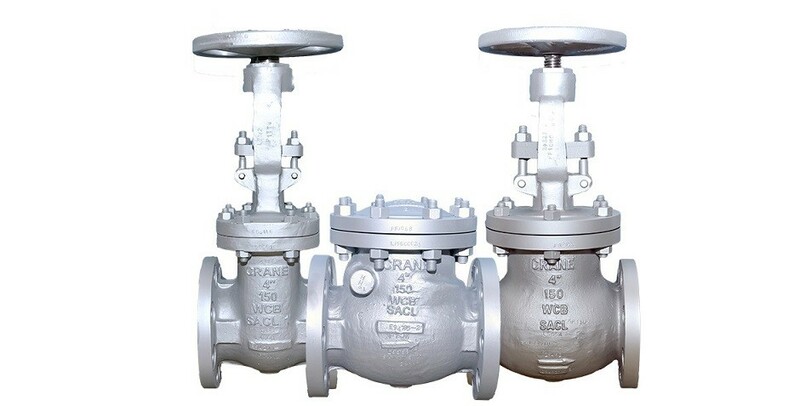 The globe valves also comply with the API 623 standard released specifically for globe valves. With higher Cv rates and lower operating torques than alternative valve types, Pacific CSV valves deliver superior value to users in demanding applications. Engineered to address the inherent dangers of volatile chemical applications, the Xomox FK adheres to the industry’s most stringent standards and combats the harmful effects of temperature and pressure fluctuation. Three independent stem seals offer superior fugitive emissions control, and are certified to EPA Method-21, ISO-15848 and TA-Luft according to VDI 2440. Self-relieving seats relieve excess pressure to protect the integrity of the valve while maintaining bi-directional operation. The patented SX ball stem design provides high maximum stem torque capability and built-in side load resistance, which extends valve life under severe conditions including thermal cycling.